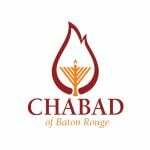 We have a great community here, and to enable all of us to come together for positive reasons, we invite all Jews living in and around Baton Rouge, regardless of affiliation or level of observance, to join together for a Community Shabbat dinner. This will be a great source of moral support and hope to many who have lost much. It will take place this Friday the 19th, in our home 2811 Calanne Avenue, at 7:15 pm.